Apollo 11 Cave Stones, Namibia, quartzite, c. 25,500–25,300 B.C.E. Image courtesy of State Museum of Namibia. 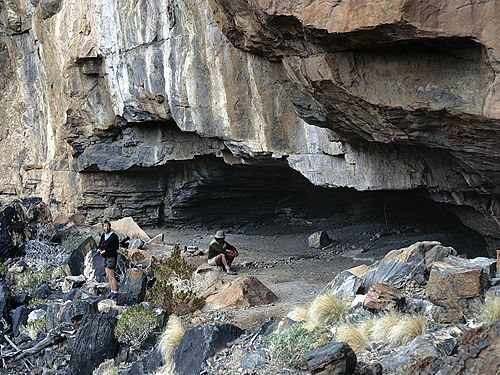 Approximately 25,000 years ago, in a rock shelter in the Huns Mountains of Namibia on the southwest coast of Africa (today part of the Ai-Ais Richtersveld Transfrontier Park), an animal was drawn in charcoal on a hand-sized slab of stone. The stone was left behind, over time becoming buried on the floor of the cave by layers of sediment and debris until 1969 when a team led by German archaeologist W.E. Wendt excavated the rock shelter and found the first fragment (above, left). Wendt named the cave “Apollo 11” upon hearing on his shortwave radio of NASA’s successful space mission to the moon. It was more than three years later however, after a subsequent excavation, when Wendt discovered the matching fragment (above, right), that archaeologists and art historians began to understand the significance of the find. In total seven stone fragments of brown-grey quartzite, some of them depicting traces of animal figures drawn in charcoal, ocher, and white, were found buried in a concentrated area of the cave floor less than two meters square. While it is not possible to learn the actual date of the fragments, it is possible to estimate when the rocks were buried by radiocarbon dating the archaeological layer in which they were found. Archaeologists estimate that the cave stones were buried between 25,500 and 25,300 years ago during the Middle Stone Age period in southern Africa making them, at the time of their discovery, the oldest dated art known on the African continent and among the earliest evidence of human artistic expression worldwide. What was the Middle Stone Age? While more recent discoveries of much older human artistic endeavors have corrected our understanding (consider the 2008 discovery of a 100,000-year-old paint workshop in the Blombos Cave on the southern coast of Africa), the stones remain the oldest examples of figurative art from the African continent. Their discovery contributes to our conception of early humanity’s creative attempts, before the invention of formal writing, to express their thoughts about the world around them. Genetic and fossil evidence tells us that Homo sapiens (anatomically modern humans who evolved from an earlier species of hominids) developed on the continent of Africa more than 100,000 years ago and spread throughout the world. But what we do not know—what we have only been able to assume—is that art too began in Africa. 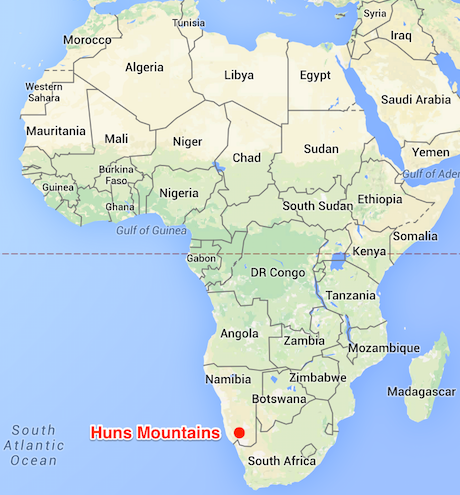 Is Africa, where humanity originated, home to the world’s oldest art? If so, can we say that art began in Africa? The Apollo 11 rock shelter overlooks a dry gorge, sitting twenty meters above what was once a river that ran along the valley floor. The cave entrance is wide, about twenty-eight meters across, and the cave itself is deep: eleven meters from front to back. While today a person can stand upright only in the front section of the cave, during the Middle Stone Age, as well as in the periods before and after, the rock shelter was an active site of ongoing human settlement. Inside the cave, above and below the layer where the Apollo 11 cave stones were found, archaeologists unearthed a sequence of cultural layers representing over 100,000 years of human occupation. In these layers stone artifacts, typical of the Middle Stone Age period—such as blades, pointed flakes, and scraper—were found in raw materials not native to the region, signaling stone tool technology transported over long distances. Among the remnants of hearths, ostrich eggshell fragments bearing traces of red color were also found—either remnants of ornamental painting or evidence that the eggshells were used as containers for pigment. On the cave walls, belonging to the Later Stone Age period, rock paintings were discovered depicting white and red zigzags, two handprints, three geometric images, and traces of color. And on the banks of the riverbed just upstream from the cave, engravings of a variety of animals, some with zigzag lines leading upwards, were found and dated to less than 2000 years ago. But the most well-known of the rock shelter’s finds, and the most enigmatic, remain the Apollo 11 cave stones (image above). 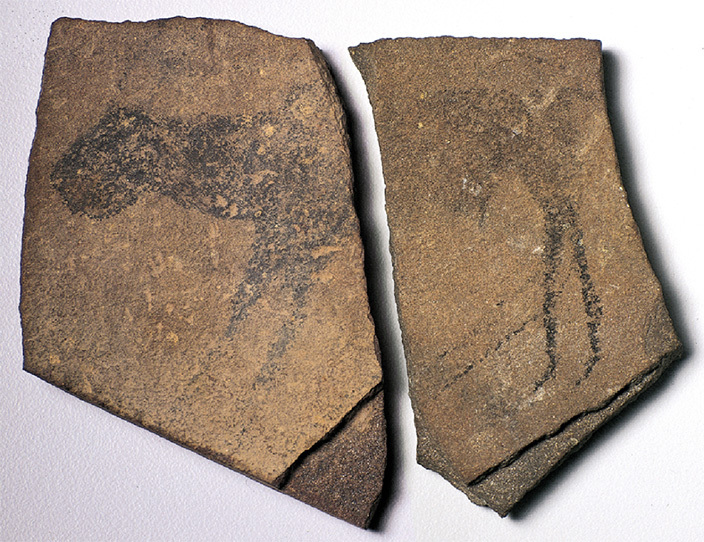 On the cleavage face of what was once a complete slab, an unidentified animal form was drawn resembling a feline in appearance but with human hind legs that were probably added later. Barely visible on the head of the animal are two slightly-curved horns likely belonging to an Oryx, a large grazing antelope; on the animal’s underbelly, possibly the sexual organ of a bovid. What is a bovid? Perhaps we have some kind of supernatural creature—a therianthrope, part human and part animal? If so, this may suggest a complex system of shamanistic belief. Taken together with the later rock paintings and the engravings, Apollo 11 becomes more than just a cave offering shelter from the elements. It becomes a site of ritual significance used by many over thousands of years. In the Middle Stone Age period in southern Africa prehistoric man was a hunter-gatherer, moving from place to place in search of food and shelter. But this modern human also drew an animal form with charcoal—a form as much imagined as it was observed. This is what makes the Apollo 11 cave stones find so interesting: the stones offer evidence that Homo sapiens in the Middle Stone Age—us, some 25,000 years ago—were not only anatomically modern, but behaviorally modern as well. That is to say, these early humans possessed the new and unique capacity for modern symbolic thought, “the human capacity,” long before what was previously understood. The cave stones are what archaeologists term art mobilier —small-scale prehistoric art that is moveable. But mobile art, and rock art generally, is not unique to Africa. Rock art is a global phenomenon that can be found across the World—in Europe, Asia, Australia, and North and South America. While we cannot know for certain what these early humans intended by the things that they made, by focusing on art as the product of humanity’s creativity and imagination we can begin to explore where, and hypothesize why, art began. “Africa: Continent of Origins,” lecture was delivered by Dr. Ian Tattersall at The Metropolitan Museum of Art on the occasion of the symposium “Genesis: Exploration of Origins” on March 7, 2003. John Masson, “Apollo 11 Cave in Southwest Namibia: Some Observations on the Site and its Rock Art,” The South African Archaeological Bulletin 61, no. 183 (2006), pp. 76-89. 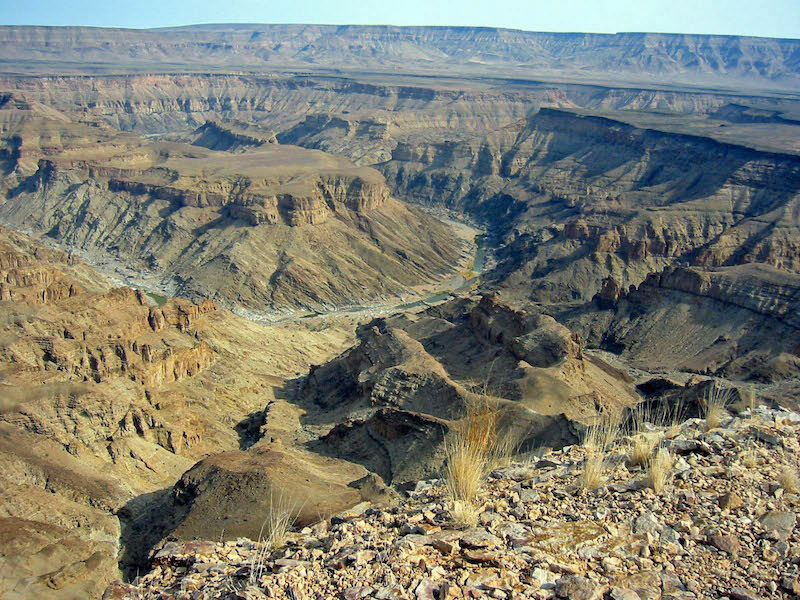 Ralf Vogelsang, “The Rock-Shelter “Apollo 11” – Evidence of Early Modern Humans in South-Western Namibia,” in Heritage and Cultures in Modern Namibia – In-depth Views of the Country, edited by Cornelia Limpricht and Megan Biesele (Göttingen, Windhoek-Namibia: Klaus Hess Publishers, 2008), pp. 183-196. W. E. Wendt, “‘Art Mobilier’ from the Apollo 11 Cave, South West Africa: Africa’s Oldest Dated Works of Art,” The South African Archaeological Bulletin vol. 31, no. 121/122 (1976), pp. 5-11. Cite this page as: Nathalie Hager, "Apollo 11 Cave Stones," in Smarthistory, November 21, 2015, accessed April 19, 2019, https://smarthistory.org/apollo-11-cave-stones/.